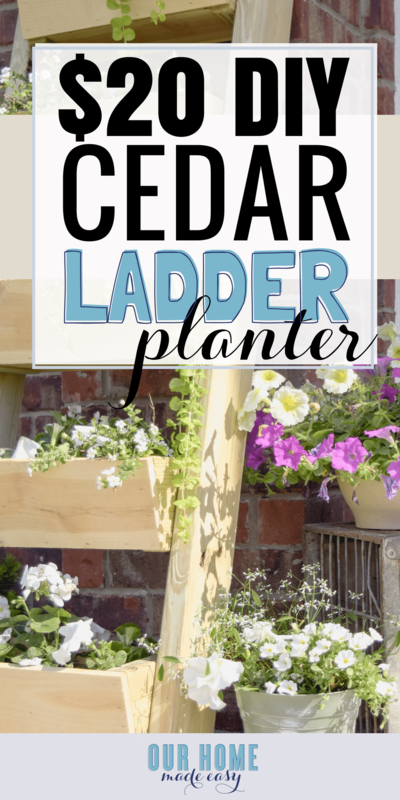 Make this super easy $20 cedar ladder planter! 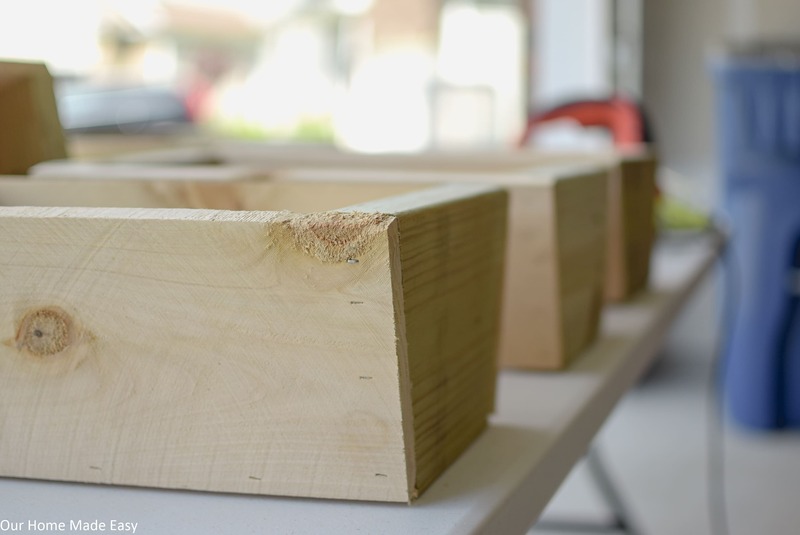 It’s perfect for beginner projects and doesn’t require many tools! 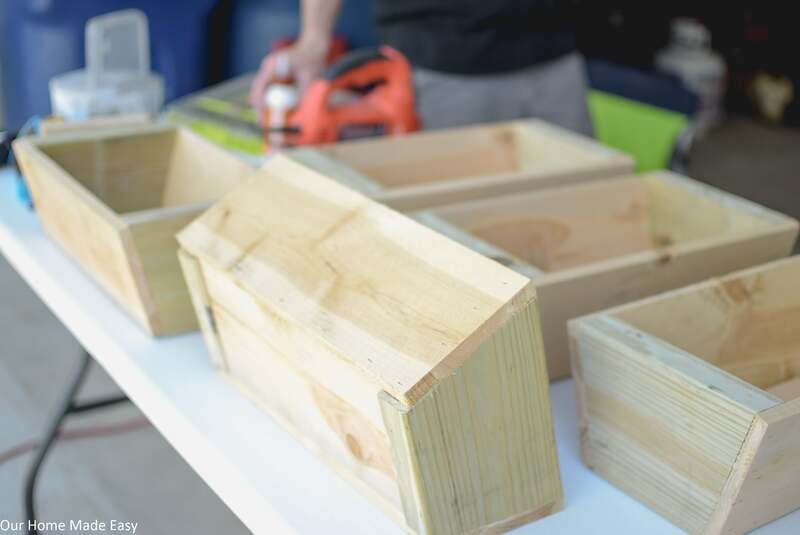 Customize the width to fit inside any space and create your own vertical garden this afternoon. 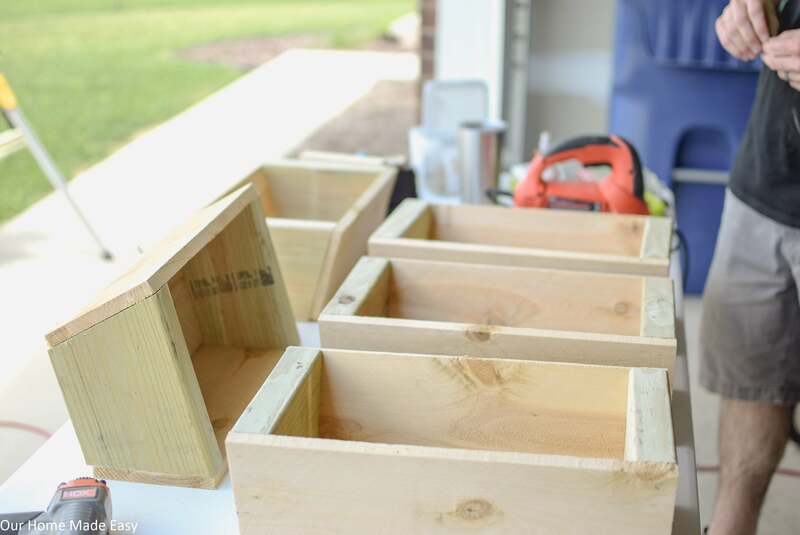 I am so excited to share an easy DIY that is perfect for any space! 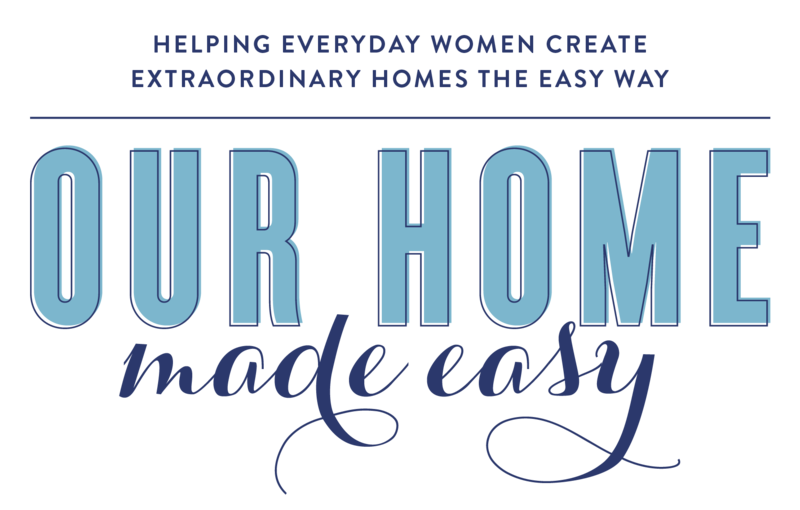 All you need to do is look at the plans, measure your space, and start building! We modified the width to accommodate our porch space and you can certainly do the same for your own area. 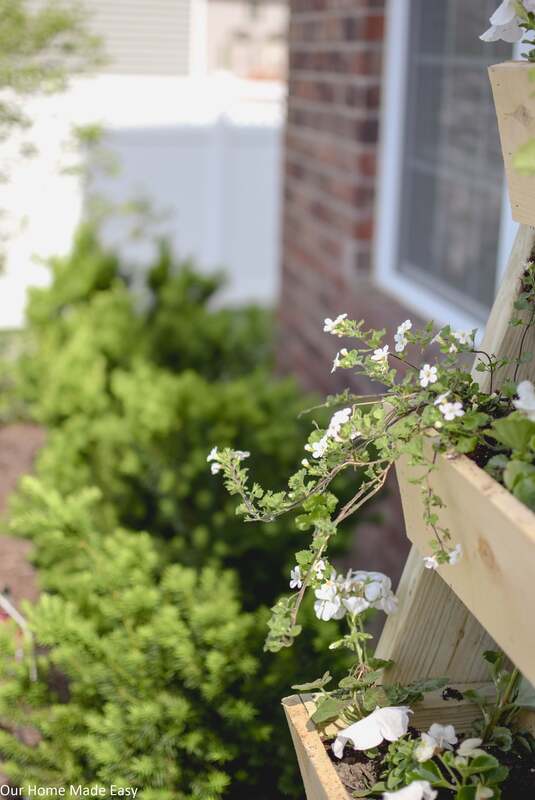 I’ll be sharing our front porch looking jazzy for Summertime here soon, but before I finish up out there, I wanted to share this project that took less than an afternoon from start to finish. 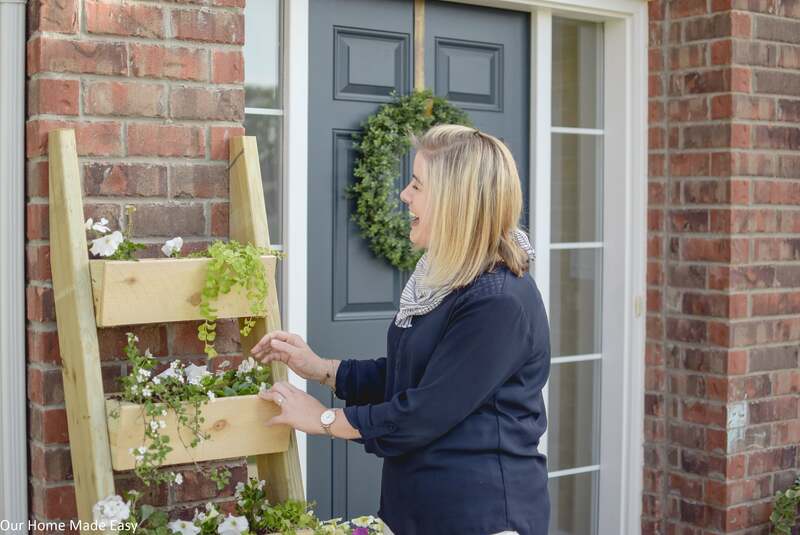 I’ve been on the hunt trying to think of how I could add some height to the front porch, but without spending too much money. Thankfully I have a handy hubby who came to my porch planning rescue. 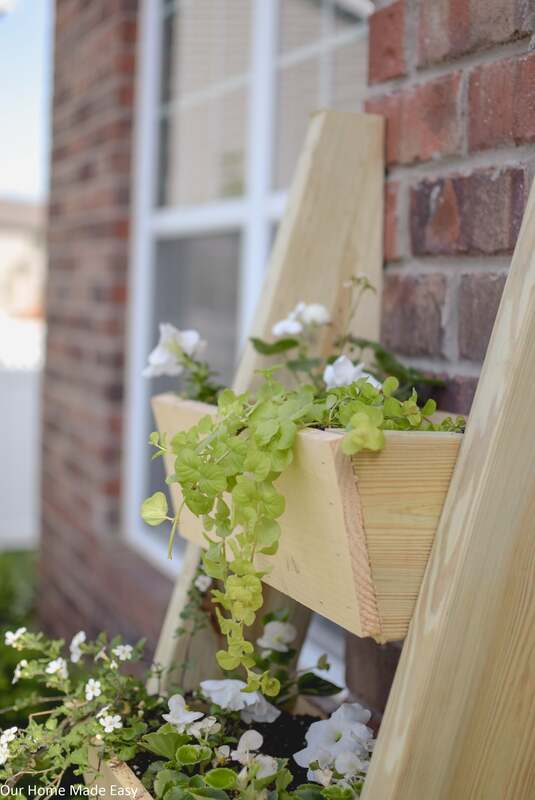 Are you thinking you need this leaning planter, too? 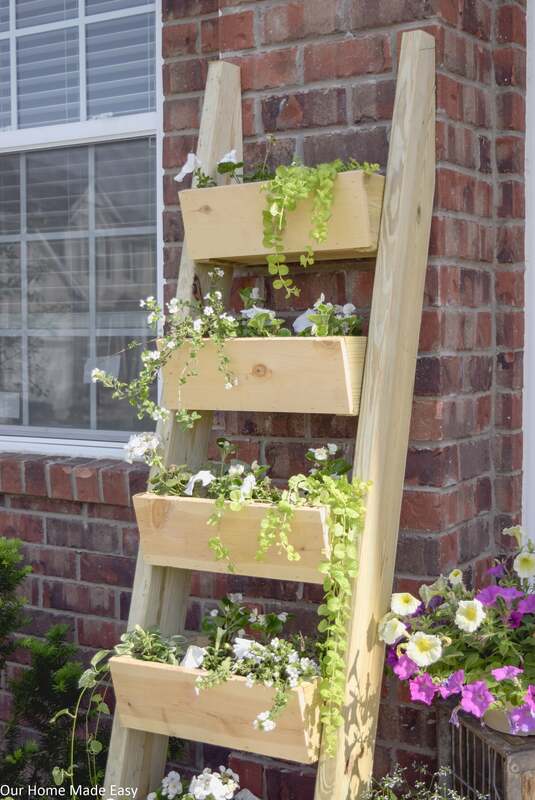 You could plant flowers, herbs, or succulents in it to make it super cute (& practical)! This design is definitely not ours, it belongs to Ana White. It’s a great project because the total build time was just a few hours and required minimal skill. You can download the build plans for FREE over at Ana’s site here. While they were all doing very different things, everyone seemed to be pretty happy. I love Sunday afternoons like that, don’t you? 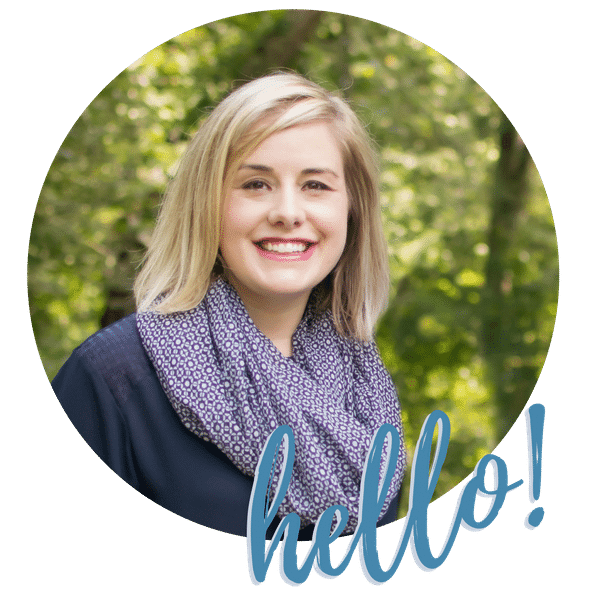 But back to this project… run over and download those plans, then read these tips & tricks to make the project run smoothly! You don’t need the jigsaw Jordan started using the jigsaw as called out in the plans and quickly became frustrated. 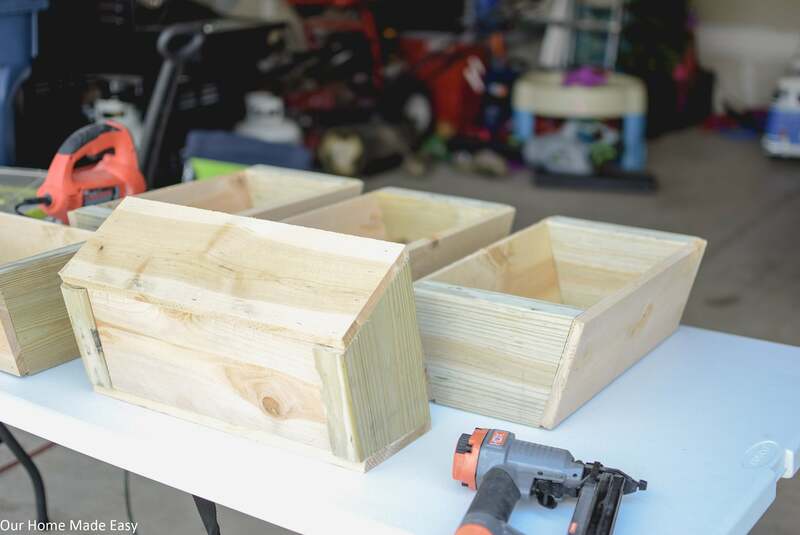 While it may be best practice, you can still build a pretty planter without it! 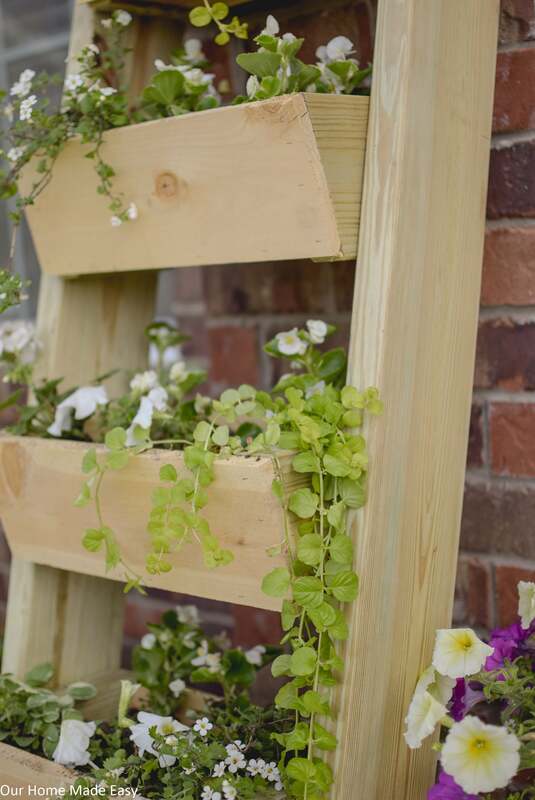 It’s Very Heavy The pre-treated 2″ x 6″ boards make this planter incredibly sturdy and heavy! It took 2 of us to carry it from the garage over to the front porch and position it. But this works really well for us since our porch isn’t covered or protected from the wind. 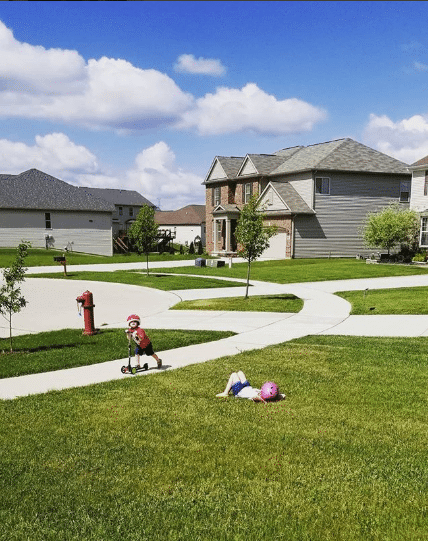 If you don’t need the sturdiness, you may be able to sub in pre-treated 1″x6″s. Don’t Skip on the Wood Glue I know everyone is in a hurry, but definitely don’t skip the step to wood glue the pieces together. We like to use our tried & true favorite because it always works. I filled each level with planter potting mix and different types of flowers. I tried to choose some taller plants, several crawling ones to “fall over” the sides, and lots of impatiens to fill in the rest of the space. 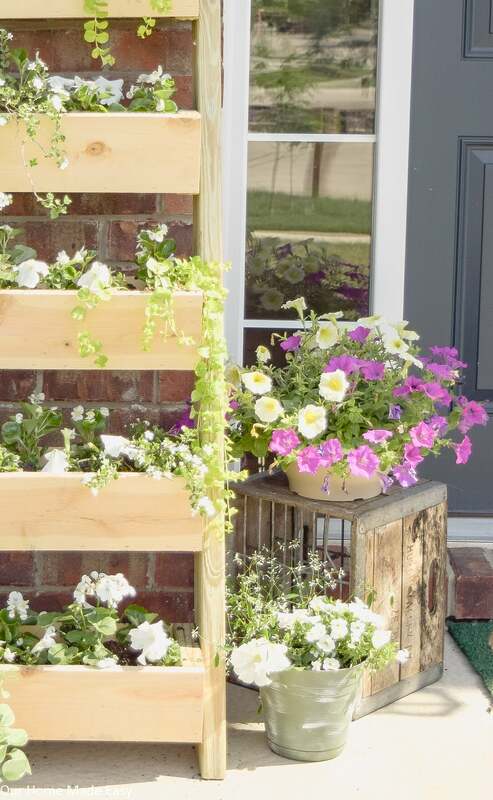 If you would rather not us flowers, make this an overflowing herb garden! If you love fresh herbs, this is an easy way to grow everything you need, but without having to bend over or reach too far when you need something quickly. And that’s it! It’s a beautiful piece that is completely different from anything you’d find in a big box store. I’m loving the uniqueness and the fact that Jordan built it quickly. Who doesn’t love an easy build & clean up for one afternoon? 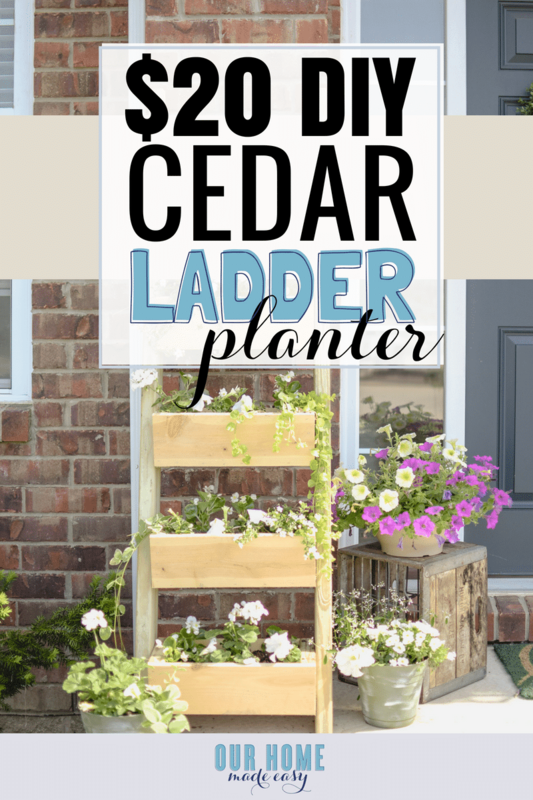 Need the cedar ladder planter build plans again? Snag them over at Ana White’s site HERE! I love this project! I’m saving it to have my husband build at our next house. 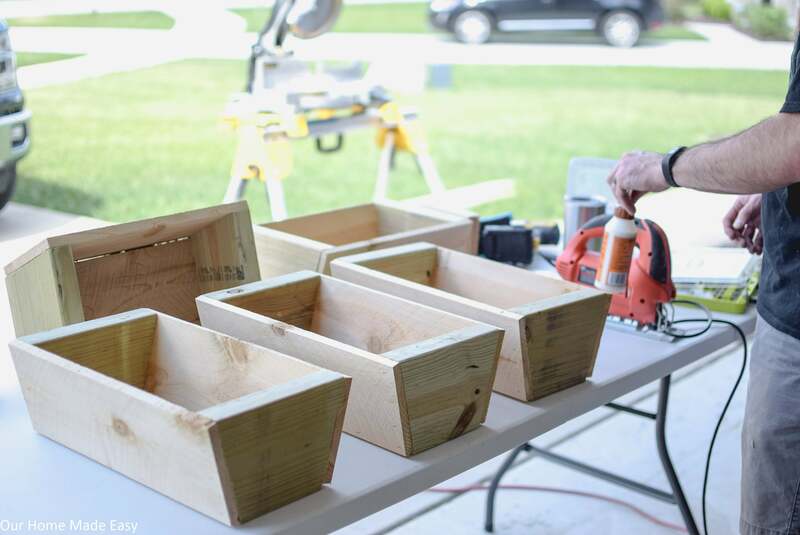 He loves to do woodworking projects and it’s nice to have diy projects that aren’t too complicated and can be completed in a day. Thanks so much for sharing it with us.